From the funky streets of the Haight we head east a couple miles to the Fillmore West, and meet a complicated man, concert promoter Bill Graham. It was during these early years in San Francisco that Bill created the rock concert experience. 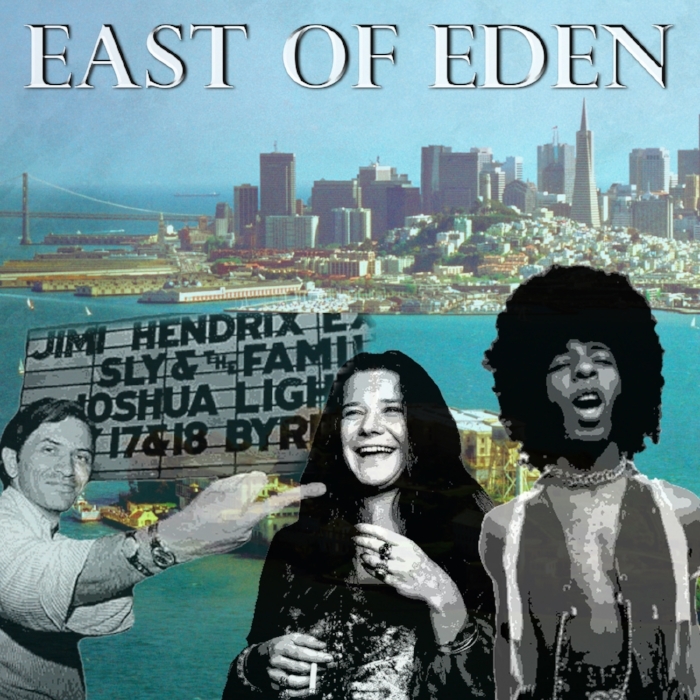 Then a brief trip to Texas, where Janis Joplin cleans up and then heads back; to San Francisco to find her family. We get to know Janis a little better, and talk about her early work with Big Brother and the Holding Company--and what happened when Janis left Big Brother. We’ll spend a little more time on the Big Picture. Politically, culturally, in pretty much every way, 1968 was a pivotal year, in America and around the world. Then across the Bay, to the lands that lie East of Eden. We’ll meet two very different acts, that interestingly enough, have similar stories: Sly and the Family Stone, and Creedence Clearwater Revival. We close it out with a short meditation on the aftermath of the Summer of Love. We still dream it and dance to it. Jay Stephens contributed his own voice to the podcast. (Thank You Jay!) All the other author voices were performed by actors.